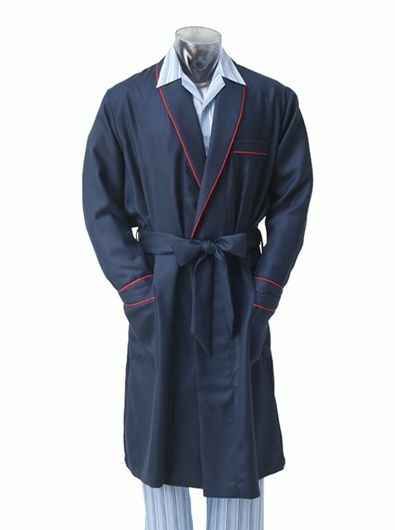 Williams Pure Cashmere Robe is the very definition of leisure luxury. Meticulously tailored in Canada of 100% cashmere for that irresistibly soft yet lightweight touch. With shawl collar three pockets self belt red piping.